October 2016. There are many reasons why I've felt, for the last two years, that the 50K trail run is best running event for me. A challenge that is daunting but within reach; a physical effort that is more complete than a marathon, but less damaging to the body; time communing with nature that I have cherished since my first camping trip as a child. Yet desire divorced from action is merely fantasy. 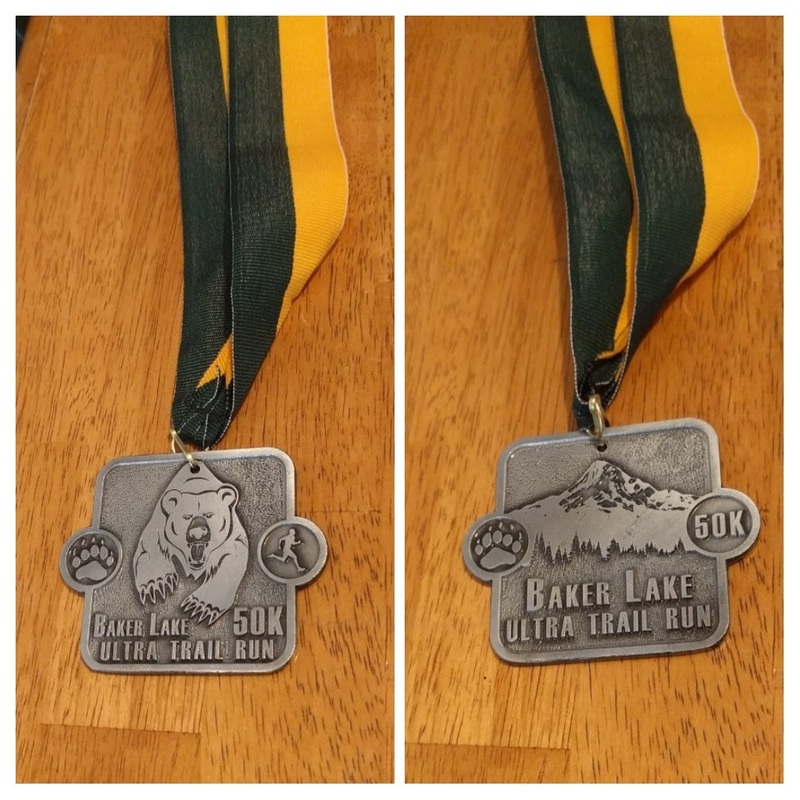 At the Baker Lake 50K I endeavored to answer the question: can I really lay claim to my place among 50K ultra runners? I have had reasons for doubt. My first 50K attempt ended in a DNF. While I finished my second 50K attempt, the effort required more than I knew I could give. So for a year now I have pondered: is the 50K an event I can embrace, or is it a pinnacle of running achievement that, once touched, is now receding from me? I was relieved to finish strong at Baker Lake, and indeed I now feel I'm finding my place in the 50K. But the race raised new questions as well. 24 mile long run, Heart Rate Zone 2. 6 mile recovery run, Heart Rate Zone 1. 10 mile tempo run, Heart Rate Zone 3. 6 mile tempo run, Heart Rate Zone 3. 4 mile recovery run, Heart Rate Zone 1. I hit this peak ramping up from an iniitial long run of 12 miles, and initial tempo runs of 5 and 4 miles. I did no real speed work this training cycle, but training for a 50K does demand significant elevation work. 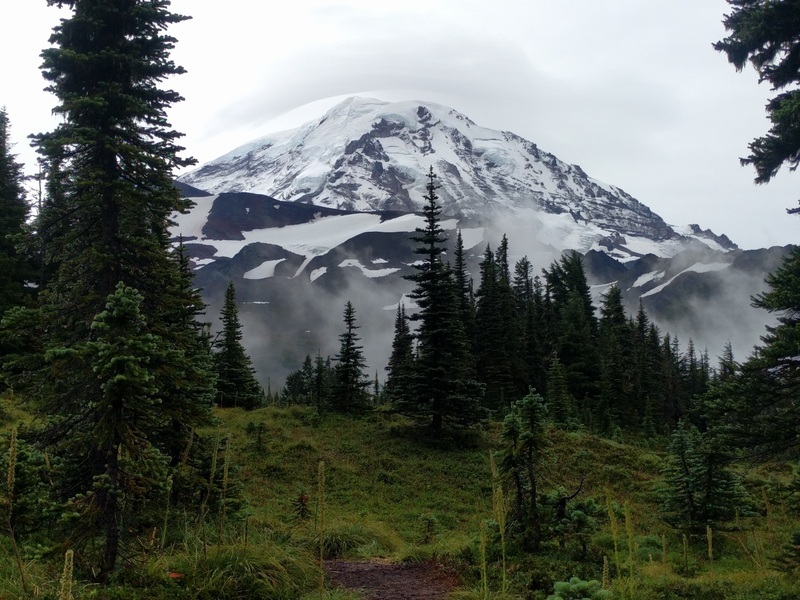 A joy of training for an October race is that the Carbon Glacier valley on Mount Rainier is passable, making training runs with anywhere from 2000' to 5000' of elevation gain very accessible. Time on feet is also key to ultra training. With several long runs of 6-7 hours I felt ready for Baker Lake. At 4:50 AM on race day I awoke, loaded the car, and left the hotel. It was still pitch black when I arrived at check-in a little after 6:00 AM. Temperature was 47 degrees; a little cool for standing around, but promising a perfect temperature day for running. I made some calculated guesses about what to wear, and what to put in the drop bag that would be waiting for me at the halfway point. Then I checked in and got my bib. The race is put on by the Skagit Runners, a club based out of Bellingham up by the Canadian border. A couple of things caught my attention about the race organization. First, Skagit Runners was a tight knit group. 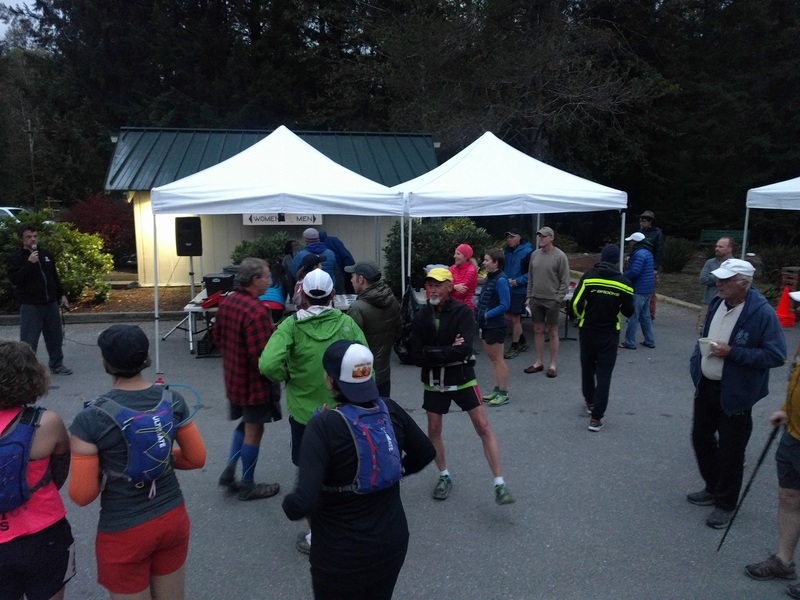 While we had a scattering of runners from all over the West Coast, the core were obviously locals, people who knew each other from this and other local events. The race director called out people who were running Baker Lake for the fifth, sixth, even the tenth time. Second, our bibs came with no timing chips. This would be a hand-timed race. This bothered me a little at first, but not too much. With fewer than 200 runners, we were going to be pretty spread out by the time folks started crossing the finish. Recording times by hand seemed manageable. Start time was scheduled for 8:00 AM, with a finishing time cutoff of 6:00 PM. There would be a full aid station at the halfway point, and a cutoff time of 12:30 to make it into that aid station. Another water only aid station was positioned at the 5 mile point (mile 26 on the return leg). I didn't want to be concerned about cutoff times, so I opted for the early start at 7:00 AM. This gave me an extra hour, but exempted me from any age group placement. Our course started on paved road just below the Baker Lake Dam, and followed the road a half mile up and over the dam. From there the road turned to gravel, and began climbing up into Baker Snoqualmie National Forest. 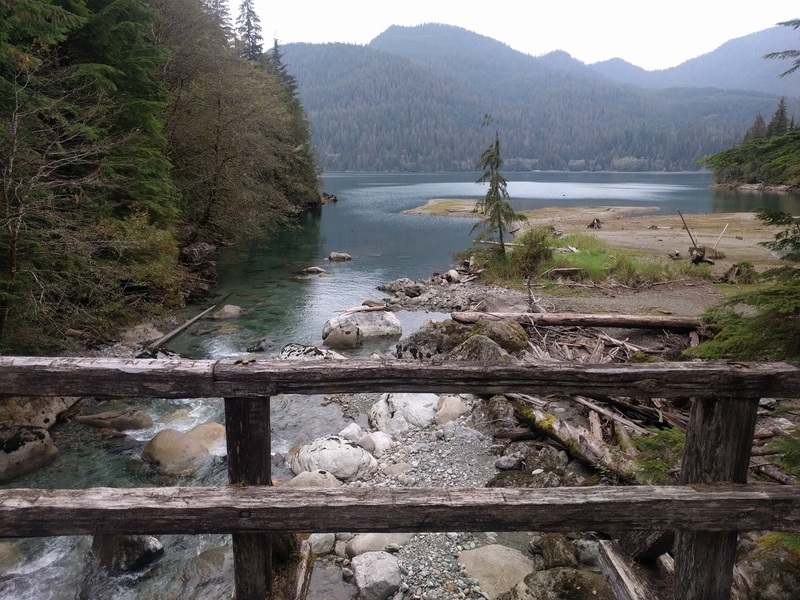 After about a mile the road intersected a hiking trail the followed the eastern coast of the reservoir all the way around to the feeder stream up north that fills the lake. Just beyond that stream is the only other nearby parking area, and the halfway point aid station. As we lined up for the early start, it looked like about 20 of us had chosen that option. With a quick, casual countdown the race director sent us off. On the road we had room to run several runners abreast. I found myself settling in next to a young man named Matt. Matt was in his late 20s with a muscular but husky build. 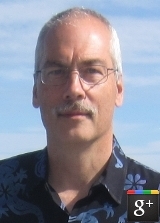 He had been a scholarship athlete at Western Washington University, playing soccer. So he was no stranger to endurance running, even though he admitted he'd never even run as much as a marathon, and that his longest training run for this event had benn a flat 18 miles. I asked what made him sign up for this event. He said that he was struggling with staying in shape now that he was out of college, and after about 5 years of desk job enduced sloth he wanted to get back in shape. He found it hard to exercise just to exercise, and having a goal like a race really helped his motivation. He knew this area and this trail well from his college days, so he had signed up. I admired Matt. There's never a wrong reason to start running, and I appreciated his desire to set a big goal for himself. Yet I worried about him too. He was clearly under-trained for this endeavor. Maybe youth and guts would see him through; maybe not. As we turned onto the single track runners began to separate. Matt, as he should, was playing it very cautious with pace. I, on the other hand, was simply letting my heart rate dictate. I had a very simple race plan: walk any significant uphill, run as much of the rest as I could manage, and keep my heart rate around 138 bpm. The distance between Matt and I lengthened, and after a couple of big hairpin turns around Mile 3 I lost sight of him. I found myself picking off other early start runners one by one. This wasn't a conscious plan; it was just where my natural pace was leading me. I also noticed some subtle differences in trail experience. I do so much of my training on trails, and many of them are quite technical. Over the years I've acclimated, and have a much better feel for footing than I used to. Yet watching the runners around me I found myself thinking of them, "Come on. Shorten your stride. Broaden your stance. Don't stop and look at this section, just keep your eyes down and stutter step through it." I will say that Baker Lake is a deceptively tough course. My fastest mile was 14:45. 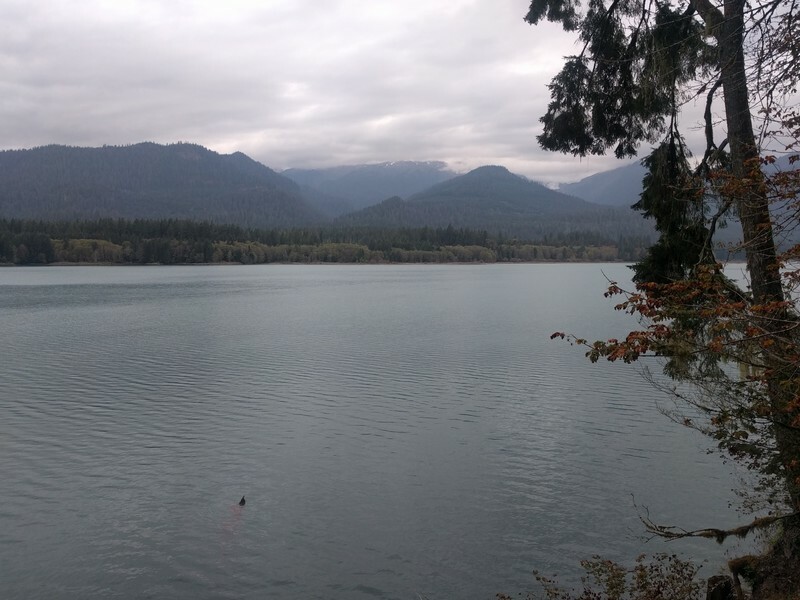 While no single climb is more than 200', and the turnaround point has the same elevation as the dam, the course is constant up and down as you criss cross the ravines formed by every little creek and stream that feeds into the lake. After that opening mile and half, the trails is nothing but single track, full of rocks and roots, and the bridge crossings are treacherous; each bridge is damp, moss covered, and slick. Indeed I watched a woman in front of me take a full on spill on one of the bridges. Her feet went out from under her, and she was down before she even knew what had happened. I stopped to help her up and make sure she was okay. Her name was Sue, and she was a veteran Skagit Runner. She wasn't going to let one spill and a little blood stop her. As it happened Sue and I would be playing leapfrog and calling out constant encouragement to each other for many miles to come. I was in for a shock at Mile 5. This was advertised as a "water only aid station". That turned out to mean a dozen one gallon plastic water bottles thrown under a tree. No volunteers present at all. More importantly, that meant no volunteers or medical staff anywhere on the course between the halfway point and the finish line. By Mile 6 I found myself running alone, although I could hear two female voices up ahead. The voices belonged to a mother and daughter who were running the race together. They were getting ready to move to Ashland, Oregon in a couple of weeks, and this race was their farewell to this part of the Pacific Northwest. I couldn't help but wonder about the daughter's age. 18? 19? She seemed young. Moving past them I now caught occasional glimpses of the man I would think of as "Blue Man" over the next 12 miles. Short, stocky, probably early 50s, and using a single treking pole. He had the strangest gait, where he would lean hard onto his pole, pivot his whole body forward, and then take a big stride with his opposite leg. But he was remarkably steady; up or downhill he kept pretty much the same pace. I would close the gap on the downhills, and then fade back as he methodically powered his way through the uphills. Around Mile 10 the fastest of the regular start runners began to pass us. That impressed the heck out of me; what had taken me more than 2 hours they were covering in about an hour and a half. And whatever critique I had of the technique of other early start runners, I was humbled by this group. They seemed to just flow like water over the trail; smooth, even motion slowed a bit by the uphills, but never slowed to a walk. Being surrounded by this group was infectious; I found myself picking up my own pace, several times having to forcibly slow down to keep my heart rate in check. The lake continued to be our constant companion through this stretch, a serene, glimmering presence off to our left, always visible through the trees whenever I dared take my eyes off of my footing long enough for a glance. Around Mile 12 the good weather gave way to rain showers. These were gentle, and short-lived, barely penetrating the old growth canopy above us. The rain, however, would continue on and off for the duration of the race. At last the lake began to dwindle, and a long section of steep switchbacks brought us off the hillside and down to the bubbling stream that fed the lake. A sturdy wood and steel bridge awaited, and a half mile beyond was a parking lot and the halfway point aid station. As I closed on the aid station I passed four runners that I recognized from the early start group. I dubbed them the "Gang of Four". They appeared to be the only remaining early starters that had been ahead of me. I rolled into the aid station with the four of them right behind me. Moments later Blue Man arrived, followed closely by Sue, who appeared to be good friends with the gang of four. The five of them had a joyful meeting under the awning of the aid station. I had other matters on my mind. Now that I'd pulled up for a bit of a break I realized that the lace on my right shoe was untied, and probably had been for several miles. I felt fine at the moment, but I was worried about the effects of my heel sliding around in my shoe unbeknownst to me. All I could do was lace up, refuel, and push on. I changed shirts, considered some of the heavier rain gear in my drop back, but decided against it. I didn't want the extra weight, and the rain thus far hadn't been bothersome. The temperature was mid-50s at this point, and I wasn't worried about getting chilled. The aid station was great. Well staffed, and everyone eager to help. I got the water in my fuel pack refilled, and the spread of food available was really impressive. I never know on an ultra what is going to appeal to me. On this day it was Mountain Dew, potato chips, jelly beans, and apple slices. The brief rest gave me a chance to talk to Blue Man. I commented, "You're looking pretty strong out there. I cannot keep up with you on the uphills." "Thanks," he said, looking a little surprised. "I wasn't sure how it was going to go. I've had this bum ankle for a bit, which is why I use the pole. So far so good, right?" I was in awe. I still am. Bum ankle? Who runs a 50K on a bum ankle? I had hit the halfway point in 3 hours and 50 minutes, a pace I was very happy with. I spent about 15 minutes in the aid station, and headed out. The gang of four moved out at the same time, with the two women moving out ahead at a brisk pace and the two men taking a very leisurely pace. I passed the men quickly, and headed for the bridge. About ten minutes later I ran into Matt, on his way in to the aid station. His breathing was heavy, and he had worked up quite a sweat, but a big smile came onto his face when he saw me. "You doing okay?" I asked. "Yeah," he said, without a lot of confidence. "Aid station's right around the bend." I said. "Rest up a few minutes, and refuel. It's good aid station; take advantage." He nodded, and we went our separate ways. Sue must have slipped out of the aid station ahead of me, but after a couple of miles I spotted her up ahead. We played a bit more leapfrog, and then I settled in behind her. Not long after we caught up to the two women from the gang of four. They were happy to see Sue again. Curiously, they were not so happy to see me. This was one of my strangest social experiences in a race. I really felt like I had intruded into the Skagit Runners clique. These two women were clearly not happy that Sue had brought along her new running friend. And indeed, after about a mile of this, the lead woman in the group pulled up and said, "Hold up, ladies. I've got to adjust something here." Fine. I can take a hint. Sue looked almost apologetic as I moved on up the next hill. They were the last runners I saw for an hour. The gentle sound of the rain had a dampening effect on all other sound, and the forest felt incredibly still and secluded. I had the odd sensation that I was widening the gap with all the runners behind me, while all the runners before me were widening their gap over me. I could have easily felt lonely; instead I just felt peaceful. Peaceful, until about Mile 19. That's when the blister on my heel must have burst. Suddenly I felt excrutiating pain in my right foot if I landed with any emphasis on my instep. On twisting, rugged single track that's hard to avoid. I tried different ways of adjusting my stride. Leaning forward into more of a mid stride and less of a heel strike seemed to help, but sometimes you just have to run the stride that the terrain dictates. The pain was bad, and I became aware of the soggy feeling of blood sloshing around in my shoe, but I didn't feel like dropping out. I had worked too hard for this. My pace did slow. It takes energy to ignore pain. It takes energy to embrace pain. I kept working on my stride. I walked a lot. I fixated on the water "aid station" at Mile 26 as a goal. Not that I needed water; but I did need a focus. I found that my walking pace wasn't actually that much slower than my running pace. By keeping my heart rate under control I found I had enough energy to power walk at about 3 MPH; my running pace wasn't much above 4 MPH. In retrospect I think miles 20 to 25 were the hardest. After that I seemed to have found a stride that worked with my blister. I ceded the flats as well as the uphills to just walking, and only ran the downhills. There weren't many flats. I gained confidence as I got to "countdown distance": less than a 10K to go... less than 5 miles to go... less than a 5K to go.... A trickle of runners reeled me. I think four runners passed me in the last five miles. We were not very many to begin with, and we were so spread out by this point. The first volunteer I saw was at the dam. My spirits brightened. Turning left from the dam down the hill I could see the finish line. My pace quickened. A couple of dozen runners were gathered around the finish line, cheering raucously, and the race director called out my name. I managed a brisk pace and a big smile as I crossed the finish. 8 hours and 25 minutes. For all my struggles on the back half, I was only 30 minutes slower on the return leg. I never had a moment of doubt that I would finish, and finish in reasonable time. I am a 50K ultra runner. That's the right distance and the right challenge for me. Any lingering doubts have now been laid to rest. The finish area had great volunteers and terrific food. I ate the world's best tasting orange, and my mouth watered to the aroma of burgers and dogs on the grill. Out of nowhere a beer appeared in my hand (some small brewery in Bellingham that I had never heard of). About ten minutes after I came in the gang of four, plus Sue, arrived. She came right over to me and said, "We never did catch up to you. Well done." A few minutes later Blue Man arrived. We locked eyes, and nodded; two warriors happy to have survived the battle. Then mother and daughter came across the finish, and the race director paused while calling out their names. He said, "My goodness folks, 16 years old and she's just finished a 50K!" The temperature had dropped noticably. At 43 degrees, it was now cooler than the start. Then the skies opened up, and the rain just poured. For a few minutes I stood at the finish line staring out into the rain, and thinking of Matt. A few more runners trickled in. He was not among them. Part of me wanted to go back out on the course and find him, make sure he was okay, and help bring him in. But I knew my body's limits between the blister, the fatigue, and the growing chill from the weather. And somewhere out in the land of cell phone coverage my wife was waiting for a call to let her know that I was okay. Reluctantly I turned around and headed for my car, hoping that some other runner had taken Matt under his wing and would safely bring him in. Ten days later I'm still thinking about Matt. I'm also pondering an aspect of ultra running culture that I have not yet made peace with. Now that I've experienced it I love the Baker Lake course. It's wild, beautiful, and demanding in all the best ways. I'm also truly grateful for the enthusiastic volunteers and the abundant choices of food and refreshment they provided. 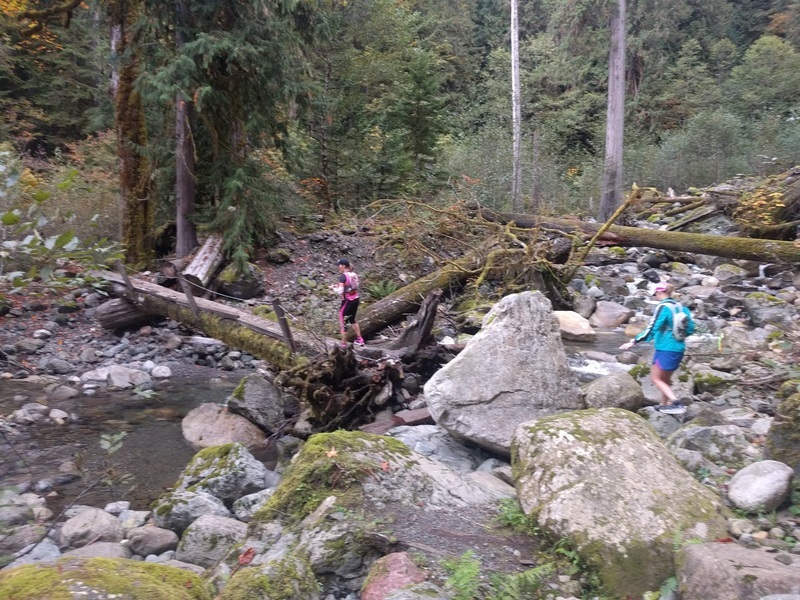 None of that changes the fact that Baker Lake 50K is a badly organized race. The lack of timing chips, while not a problem on its own, is an indicator. It shows limited effort and a stingy budget. 10 days on and the website has still not been updated with results. I don't care about my own, but I want to see if I can find Matt's name. In fact, the website has no results posted from last year, and no photos posted from last year or the year before. Again, limited effort on the part of race organizers. Most of all I'm shocked at the complete lack of volunteers or medical support staff anywhere between the halfway point and the finish line. If a runner is going to get into trouble, it will almost certainly be along this stretch. It's easy to make excuses about the positioning of aid stations and volunteers. This is a rugged, remote piece of the North Cascades, and they put volunteers in the only two places on the course that are road accessible. Except... there's this lake. And a boat launch you can drive right up to less than half a mile from the starting line. And water accessible campgrounds, perfect for an aid station, that people regularly reach with canoes or small motor boats. Providing an extra level of support, in the form of one more well staffed aid station around Mile 7 / Mile 24, would not have been that hard. Yet there's an attitude in ultra culture, a bravado, that's complicated. In the last several decades running has become more popular, and even in the last ten years the variety of casual, social races -- color runs, holiday costume runs, and the like -- has proliferated massively. It is no longer possible to participate in a 5K or even a 10K without factoring in the many walkers, in groups and idly chatting away oblivious to runners. Half marathons and marathons have become big business; every city has at least one now. Ultra running has become a refuge for those who ply their craft of running in a more serious way. As ultra running itself becomes more popular, I sense a willful sparseness to the way race directors position their events. Don't expect a lot of support. Don't expect a medal just for finishing. No pace runners. No drop bags. These are all attitudes I've seen on display at the ultras I've attended. It's an attitude that says you shouldn't be out here unless you know what you're doing. You shouldn't be out here unless you can find your own motivation deep within; we aren't here to movtivate or gratify you. Part of me relates to this attitude. I think of all the solitary training miles I've run on Mount Rainier, and how much I must love that experience to put in the time and miles necessary for an ultra, and how right it feels for a race to be an extension of that experience. I think of how far I've come from panicking over a hamstring cramp in my first road marathon to shrugging off a bleeding blister in the midst of a 50K. But there's a fine line between bravado and recklessness. I think of Sue, whose fall could have easily left her with an immobilizing injury miles from help. I think of a 16 year old girl triumphantly finishing a 50K side by side with her mom. I think of Blue Man, gimpy ankle and all, gutting it out for 31 tough miles. And I think of Matt, whose fate I still don't know. These people have a place in the ultra community, and should be welcomed, not just tolerated. The running world is changing, and those changes will alter ultra running as well. It's time for the ultra community to grow out of adolescent bravado and welcome the eager new runners coming this way.